TROLLEY is about knowledge exchange, competence building and competence sharing. To best share knowledge with externals across country borders, TROLLEY has developed and is now offering five free thematic e-learning modules. E-learning comprises all forms of electronically supported learning, teaching and training. TROLLEY's e-learning solutions will enable quick and convenient learning regardless distance and time. All courses are available in English. 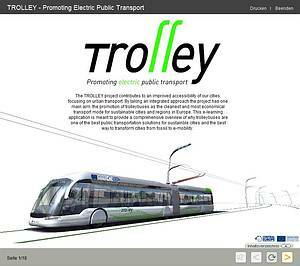 The registration process (login information and further instructions) for the first course on "Trolleybus Basics" started in June 2012. Register here if you would like to participate in one of our e-learning courses. 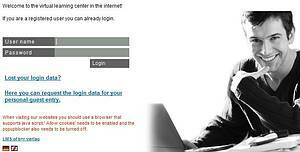 In order to access the course please use the login in the login window on our home page.